Below our wedding day and the birth of our children, December 7th, 2016 will be known as one of the most important days to our family. December 7th was when Rich defended (and passed!!!) his Dissertation. ^^Rich with the title of his Dissertation. 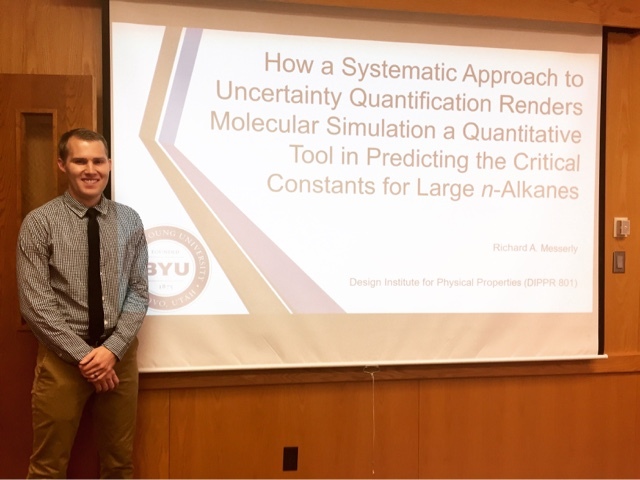 Defending consisted of a 45 minute presentation to his committee and general public (me, the Gunnells, Tyler Anderson, and Rich's two lab mates). Following the presentation, general public asked questions and then we were kicked out and Rich meet alone with his committee for an hour. When his committee was done with him they kicked Rich out and powwowed about our fate. A few minutes later Rich was meet with congratulations and received a high pass. This is the highest score you can receive and means graduation is only pending on making edits that were suggested by the committee. Dr. Wheeler said it was the best Dissertation defense he has ever seen. ^^The happy couple upon completing the goal we set out for in Fall 2012. We have witnessed many miracles getting to this point and I know Heavenly Father has had a hand in every step of the way. From, before McKay was born, we had tried for nearly two years to get pregnant. It was during this time that we decided to pursue and start a PhD. I strongly believe if we would have gotten pregnant right away we would not have started this program. By being financially blessed with a stipend throughout the whole program that has enabled us to graduate without a single student loan or any debt to our name (!!!!). To being blessed with flexibility. This was a huge benefit when we had our kids and Rich would be able to work from home or take off whatever time I needed while adjusting. Flexibility was also such a blessing while my mom was sick. I was able to visit Minnesota numerous times without McKay. This meant that Rich took care of him while being able to adjust his work load. It also enabled Rich to be with me the evening my mom passed away; a tender mercy I don't think would have been possible with another employment position. 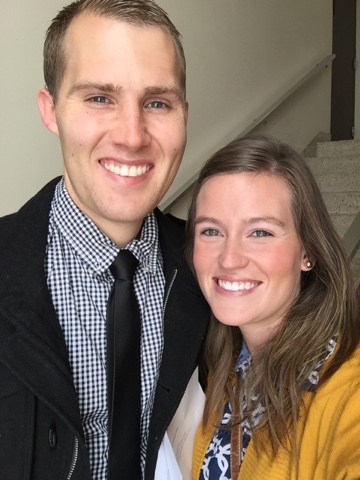 We are so grateful for the opportunity we have had to be affiliated with Brigham Young University as long as we have and I wouldn't be surprised if we end up coming back for Rich to teach in a few decades! Tender mercies. I love it when you can look back and see that things were "working together for your good." Congrats Rich! So amazing & wonderful in every way!